This is one bad truck! At Performance World in 2003 it took all the awards listed below plus many more. PERFORMANCE WORLD Top 10 in Show. 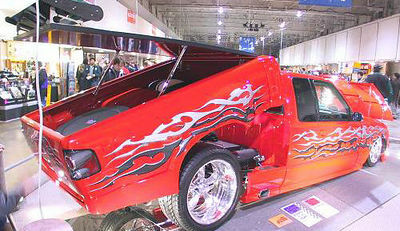 A tilting bed allows you to see the superb quality of the Lowdown Hot Rods chassis.